Teresa is the founder and editor of Primarily Inattentive ADD. Primarily Inattentive ADD is the only site on the Internet devoted exclusively to providing information on the Inattentive subtype of ADHD (ADHD I, ADHD-PI) and on a subtype of Inattentive ADD a disorder known as Sluggish Cognitive Tempo (SCT). Teresa had symptoms of Inattentive ADD as a child and now has one biological son with Inattentive ADD and one adopted son with Hyperactive/ Impulsive ADHD. She has first hand ADHD experience as she has dealt with this disorder as a parent of children with ADHD, a health care worker and a person with symptoms of ADHD. Teresa has published hundreds of articles on the topics of parenting, health care, and ADHD. She writes about ADD and ADHD from both a medical and a personal perspective. Her formal training includes a Master's degree in Public Health and an undergraduate degree in Medicine. She has worked as a Primary Care Physician Assistant for adults and children for over 25 years. Teresa was born in Cuba and speaks English and Spanish fluently. She has a large, extended and loving family and when she is not fishing on Florida's Forgotten Coast, she lives with her physician spouse and two boys in Georgia. 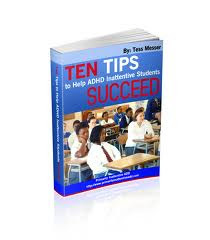 In addition to her blog, Teresa has authored several books including, Ten Tips to Help Your ADHD Student Succeed at School and the soon to be published Commanding Attention: A Parent and Patient Guide to More ADHD Treatment. The Primarily Inattentive ADD blog contains information on symptoms of SCT and ADHD Inattentive, tests and evaluation tools for ADHD inattentive and treatment options. The site has many free tools including tools for free cognitive training and free cognitive behavioral therapy as well as free lists of diagnosis that frequently co-occur with ADHD. 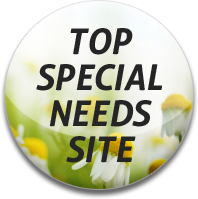 Readers use the "Search this site" button at the sidebar of the webpage to access hundreds of posts on various ADHD topics. Primarily Inattentive ADD is an award winning site that readers have universally applauded for the depth and wealth of information that Teresa provides. Subscribe to receive Primarily Inattentive ADD by email or RSS feed. "a valuable resource for parents and patients,"
"a website with answers to all the questions I forgot to ask my son's doctor about,"
"an incredibly comprehensive site, I wish there was a site like this for the Hyperactive type of ADHD."